From getting out of home lockout situation to repairing broken locks and keys, re-keying the locks, duplicating the key, upgrading the locks and security system to prevent any break-in vulnerability, we are your leading and trusted Plano residential locksmith service, providers. As the most important place in the world for you, we understand you would not like to compromise with the safety and security of your family and assets. This is why you always must have the assistance of best service provider in the industry. As an expert in the field and covering the entire Plano region and surrounding areas for all types of residential properties, we know what it takes to give your premise the utmost security. From supplying and installing the most secure locks and security systems to assisting you in any residential locksmith emergency, we are always there for you. We go well beyond just taking care of your front door. And we are not another locksmith that come to your home and give you a product or service that just fills temporarily. Our utmost care towards our customers and our dedication to ensuring full safety and satisfaction for our customers mean that you will always find the best possible solution. You are concerned about your home security and we are your home security experts, offering the extensive range of services and products that are tailored to meet your exact requirements. From simple tasks like lock replacement to suggesting you a modern high-end security system, we do everything to make certain that your problem is resolved, your home is fully secured and you are happy and satisfied. When you buy a new property, it is always suggested to change the entire locks and security system of your home, so that you are the only one having access to your home. When your roommate is evicted you must ensure that your assets and safety is not under any threat from them. So change your locks right away. Whenever you lose the key to your home unknowingly, sometimes chances are that someone in close proximity can find it. This puts the safety of your home and family at risk. Better change your locks and be safe and secured. 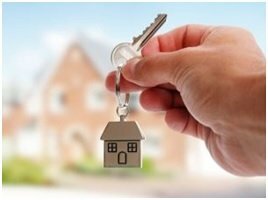 Similarly, there are several other instances when you need the professional assistance of a residential locksmith to keep your premise fully safe. Consult our Plano residential locksmith experts today and know how and when you need to look into your home security. 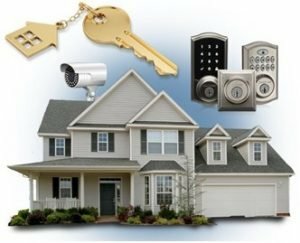 Whatever condition and problem you can think of concerning locks, keys and security system at your home, we are well-placed to provide you with the prompt, professional, 24/7 assistance at reasonable prices. Our expert team of locksmiths is fully certified and trained in all the traditional and modern high-security locks and security systems. They are skilled in tackling any locksmith issue you have. Equipped with a mobile van, all the latest and advanced tools and technologies, and ready-on call the locksmith technicians will reach your location in the least possible time and provide you with right solution in a friendly and proficient manner.